When we first got married, we lived in a studio apartment belonging to our university. I don't know what the official square footage was, but I recall trying to measure it once. We estimated that it was around 400 square feet. And it felt tiny. Our park model is just under 400 square feet as well, and even though the loft provides an additional 150 square feet or so, the downstairs all by itself just feels bigger than our apartment ever did. Other than the bathroom, our apartment was one big room with a partial privacy wall separating the bed area from the living room. There was a tiny closet, some weird built-in shelves, and a desk along the back wall of the bedroom. We never once used the desk as a desk. It was just wasted space to us. It's odd to me when I think about it now. Why didn't we use it as a desk? Probably because it was in a dark corner of the bedroom, and we've never much been the kind of people who like to sit at desks to study. We always flopped down on the bed or the tiny couch. At one point before we converted to laptops, we even had two desktop computers occupying their own small computer desks on opposite sides of the living room. 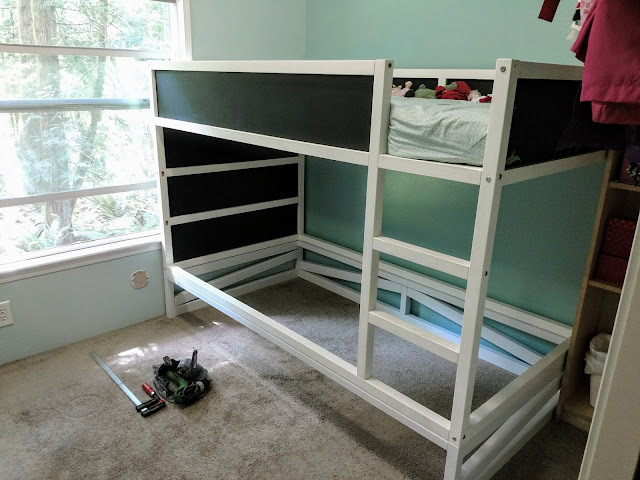 The bedroom desk just wasn't built right to use with a computer, so we didn't. Wasted space indeed. The kitchen was U-shaped and sat like a cave in the corner next to the bathroom. I remember hating that kitchen. It was bigger than our kitchen is now, but it felt all wrong in ways that I can't quite put into words. At the end of the kitchen counter next to the front door was a counter-height bar facing out the window. There was only room for one person, and we never used it as a bar, either. We put our garbage can under it. That apartment was a true blessing to us because the rent was cheap despite being in a great little community on the campus of our Christian university in Portland, OR. We had good neighbors and great landlords. But it was not designed well for our personal needs, and that made the space seem so much less functional. Our house meets our needs much better, even though there are a few things about the design that bother me. The double-height counter separating our kitchen and living room is too shallow for a bar and a kitchen counter at the same time, and the itty-bitty built-in medicine cabinet in the bathroom is too small to be useful, yet it monopolizes a wall that could hold something else. The drawers between our oven and refrigerator are so tiny that they barely hold towels and tin foil, and the refrigerator itself is too big for the space. 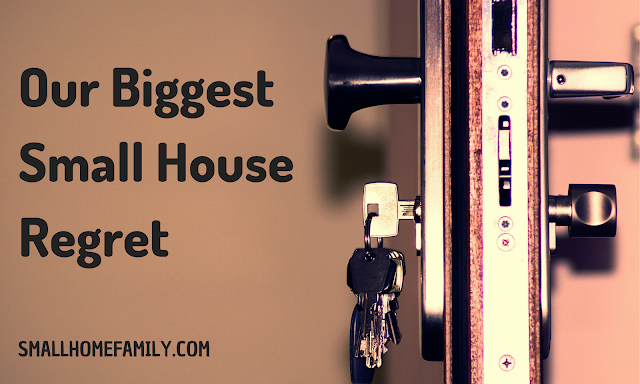 Yet despite these things, our home feels so much bigger than our apartment ever did. It's much more practical for us and meets our needs so much better. We lived in our apartment for four years, and it felt like an eternity. Our house is nine years old now, and I am mostly content (most days) with its size and set up. The same can be said about larger homes, too. My cousin, who cares for her dad and our grandfather in one large, multi-generational household, has recently fallen in love with a house not too far away that is about the same size. When I asked her what it is about this other house that is so special, she gushed about the windows and the light, the way the bedrooms are on separate floors and there are separate living rooms with outside entrances to give everyone in their household a sense of privacy while still being in the same home where they can take care of each other. There is ample parking space for my aunt and her disabled husband to move their own little park model so that they can be nearby as well. It's always been a dream of my grandpa's to buy a large piece of land and have homes for everyone in the family to live close together, and this is about as close to that dream as he will ever get in this lifetime. They've made an offer and are in the process of selling their current home. 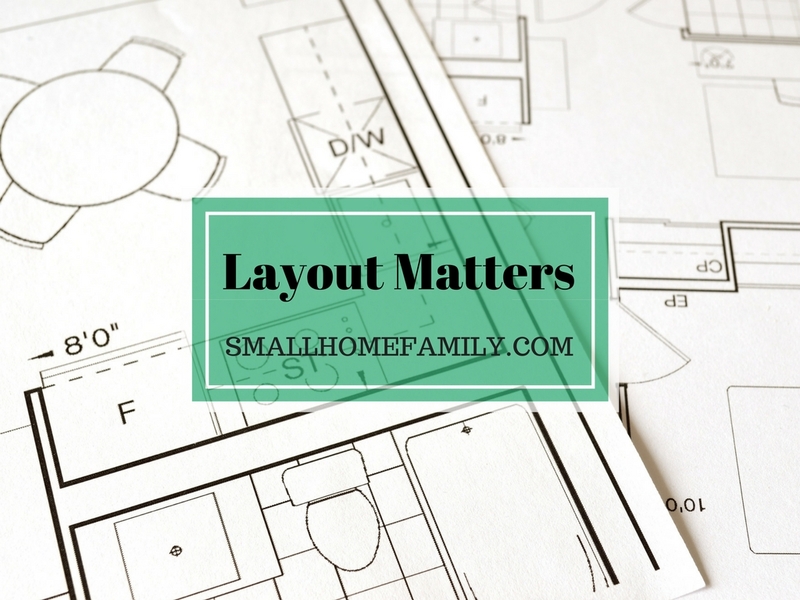 It all comes down to layout. One house could be the same size as another, but if it's not set up to meet your needs, it will feel so much smaller. 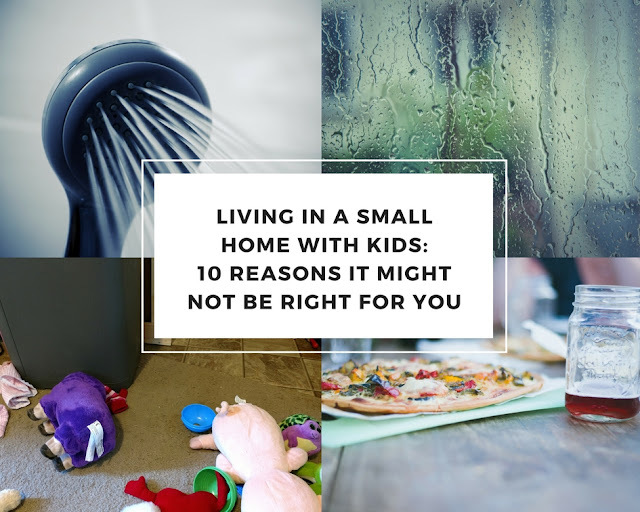 A 1000 square foot home can feel tiny if it doesn't have a good layout and a tiny house can seem so much larger with the right thought given to how everything is arranged to best meet your needs.